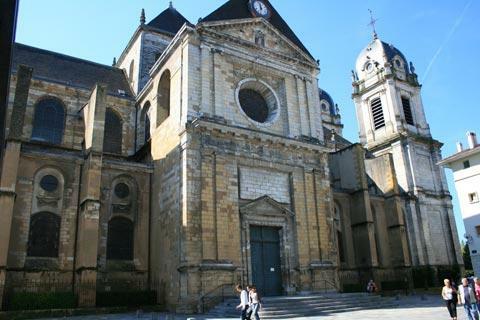 Dax is the Landes department of Aquitaine in south-west France, north-east of Bayonne and south-east of Mont-de-Marsan. It is on the edges of the extensive forests of the Landes region. Dax began its history in pre-roman times, then was developed by the Romans to become an important town because of its thermal waters. With the end of the Roman Empire the town was largely destroyed by the barbarians but was rebuilt and eventually passed into English hands with the marriage of Eleanor of Aquitaine to Henri Plantagenet. After the Hundred Years War had driven the English from France the need for a fortified town passed, but it was not until the 19th century that the towns extensive fortifications were largely demolished. In the 19th century with the introduction of a railway line the thermal waters once again became key to the towns wealth, and Dax is now famous for its mud treatments as well as spa treatments. 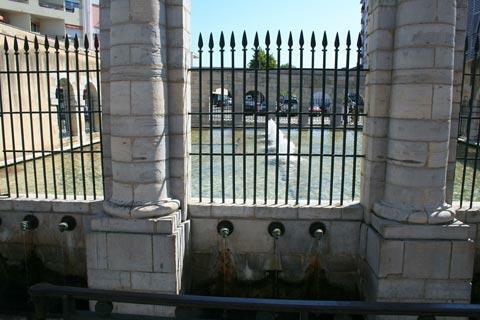 Dax is the biggest spa town in France both in terms of numbers of visitor numbers and when measured by the amount of thermal spring water produced here. France This Way comment: Dax is pleasant to visit but if you are not here for the thermal waters the other attractions are quite minor - so it is pleasant to visit when you are passing but not necessarily worth travelling a long way to see. A small part of the ramparts can still be seen in the town by following the Promenade des Remparts in the north of the town next to the Parc Theodore Denis. 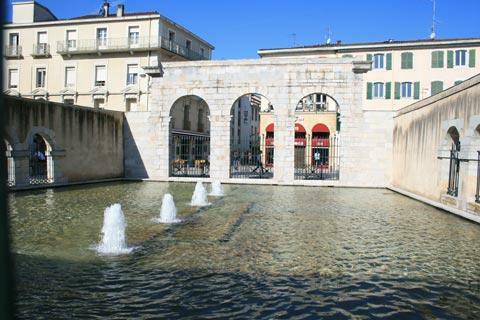 The most important site in Dax is the ‘Fontaine Chaude’ where there is a pool of hot thermal water inside a Roman-style structure built in the 19th century. The water is about 64°. The pool is fenced off but taps at one end have the thermal water pouring out. The water is said to be good for the relief of rheumatic ailments, gynaecological problems and problems related to veins. Also worth seeing in Dax is the Hotel Splendid, an Art Deco Hotel which is considered to be a key work of the Art Deco period in the 1930s. Ernest Hemingway and Joseph Kessel are amongst the celebrities of the time who stayed in the hotel. 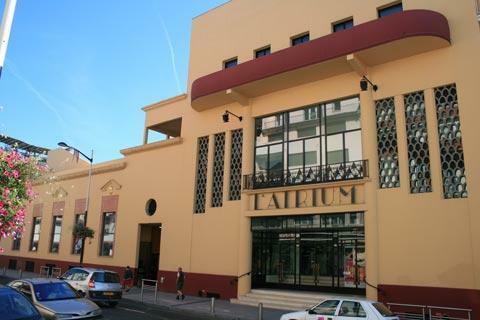 The Atrium is another Art Deco building in the town and is now a concert hall. You can enter its very nice looking restaurant for a meal, an excellent spot for lunch. Dax also has some notable modern architecture including the Les Thermes Hotel built by Jean Nouvel. The cathedral of Dax, the Cathedrale Notre Dame, was finished at the end of the 19th century and is built in a classical neo-grec style. It is built on the site of a 13th century gothic cathedral and the ‘portail’ of this original church has been preserved and can be seen in the left transept. It is very ornately carved and shows the Last Judgement. You can also visit the Crypte Archeologique which contains the remains of a gallo-roman temple of the 2nd century, and the Arenes which is the bullfighting ring of Dax and is is situated in the Parc Theodore Denis. There are two notable museums in Dax. One is the Musée Georgette Dupouy. Georgette Dupouy is a 20th century artist whose paintings are described as impressionist with surrealist tones and whose paintings have been exhibited throughout the world and 60 of her paintings are now in permanent collection in this museum. The other is the Helicopter Museum (‘Musée de l’armée de terre et de l’hélicoptère’) which has a large collection of French army helicopters and an insight into how a helicopter works. There are two gardens that we enjoyed visiting close to Dax. The first is the Plantarium at Gaujacq, a botanic garden with a large collection of plants and plants for sale. 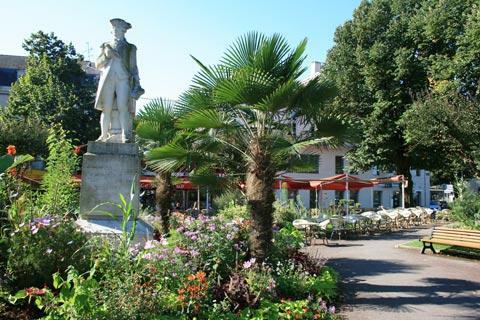 The other is the Parc du Sarrat, covering three hectares and with a botanic garden and a potager. 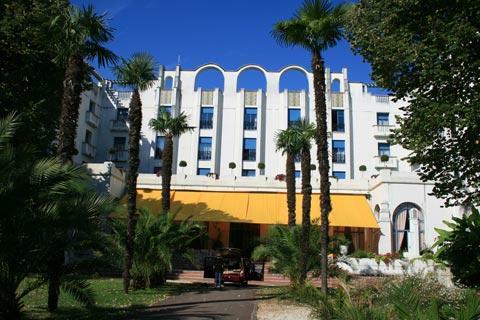 The principal attractions in the region are on the Atlantic coast about 35 kilometres to the west of Dax and include smaller resorts such as Capbreton and Soorts-Hossegor and larger towns such as Biarritz and Bayonne. You will also enjoy heading south to the foothills of the western Pyrenees to visit small towns such as Salies-de-Bearn and Orthez.